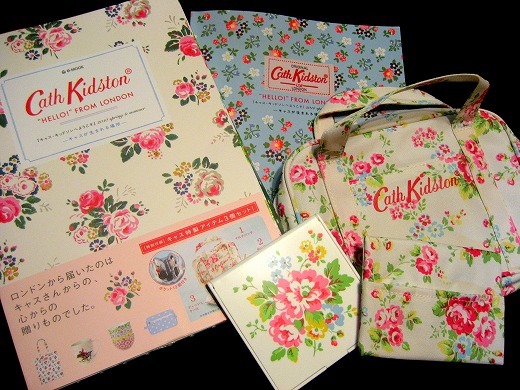 This is a Cath Kidston 2010 SPRING/SUMMER COLLECTION MAGAZINE MAGAZINE. 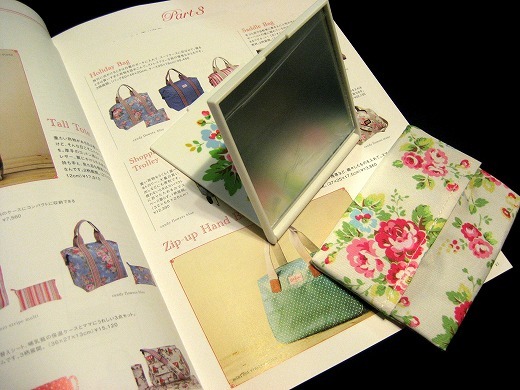 A Spray Flowers Toiletry Bag, a Tissues Case and a Mirror are free gifts of the magazine. 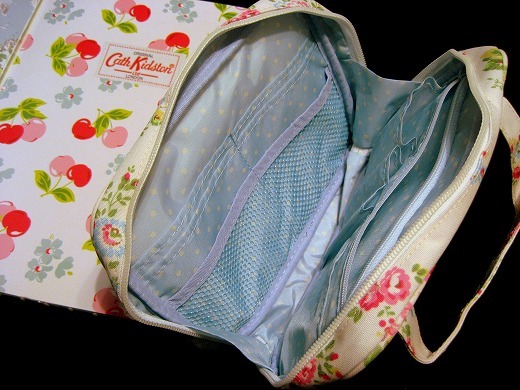 This practical toiletry bag has two main compartments,12 pockets.and a carry handle. The beautiful bag,ideal for holding many things like cosmetics and your wash essentials. 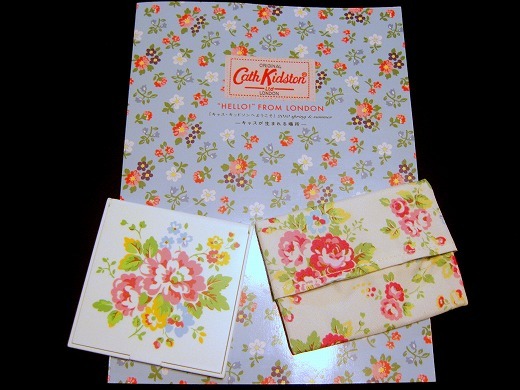 These Cath Kidston luxury sets are amazing! This could be the first ever lavish free gifts in the series. The flower pattern is so cute and top style in Japan this year.